1 The Society of St. Vincent de Paul’s Golf Classic raised $90,000, with help from (from left) Tom Blasi, Maria Grasso, honoree Allen Brewer and Cathy DePasquale. 2 (From left) Ronald Bauer, David Daly, Katherine Heaviside and Neal Galloway accepted accolades during United Way of Long Island’s 2017 Live United Celebration Luncheon, which raised an unprecedented $670,000. 3 (From left) Allison Rosenzweig, Nancy Gilbert, Susan Lucci, Melissa Joan Hart, Ross Ellis and Fern Karhu took part in the Long Island Center for Business & Professional Women’s Achievers’ Awards Gala. 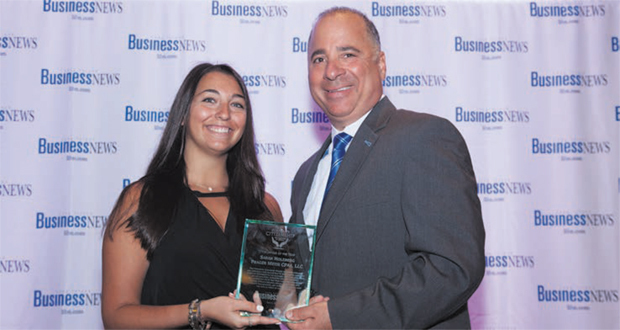 4 At the Long Island Business News Corporate Citizenship Awards, LIBN Publisher Scott Schoen congratulated Sarah Holzberg of Prager Metis CPAs on her “Volunteer of the Year” award. 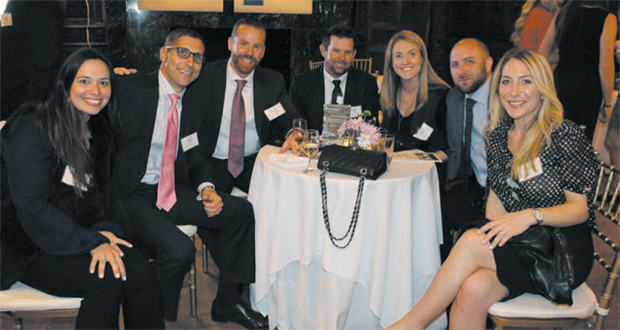 5 GM Advisory Group, a sponsor of Smile Farms’ Spring 2017 Benefit, was well represented at the event. (From left) Lyndsey Gorham, Chris Fusaro, Jayson Siano, Christopher Heery, Caitlin Heery, Drake Gorham and Danielle Siano. 6 At the CAPS Spring Luncheon, Vincent Keaveny (center) presented the Corporate Citizen Award to Joe Campolo (left) and Patrick McCormick of Campolo Middleton & McCormick. 7 To celebrate the grand opening of its new headquarters, Homes by Mara presented the Children’s Brain Tumor Foundation with a $1,500 donation. (From left) John Navaretta, Sabrina Navaretta, Kayla Giacin, Mara Navaretta, Bonnie Adlman and Fred Adlman. 8 GEICO, a diamond sponsor of March of Dimes’ Long Island March for Babies, presented the organization with a $35,000 check. (From left) Victoria Cella, Sara Pace, Julianna Baldi and Gina Gardell.